The ongoing SWBRT saga took yet another turn on Monday, with councillor Diane Colley-Urquhart returning unexpectedly from a luxury cruise trip and expressing regret for being involved in a notice of motion to delay the project. The SWBRT debate has been rife with misinformation and distrust. 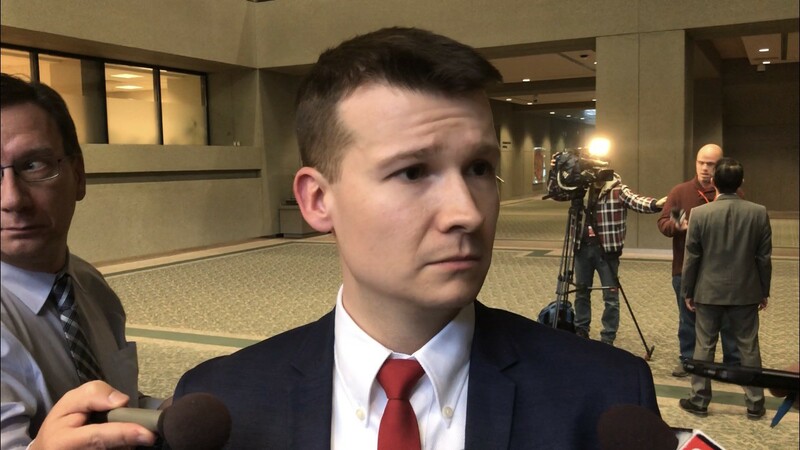 On Monday, Colley-Urquhart recounted a meeting she had with rookie councillor Jeromy Farkas on November 2. “I recorded our conversation,” Colley-Urquhart told reporters. “I was very concerned about how this was going to be handled,” Colley-Urquhart said. On paper, Colley-Urquhart and Farkas were united in wanting to delay construction of the SWBRT. 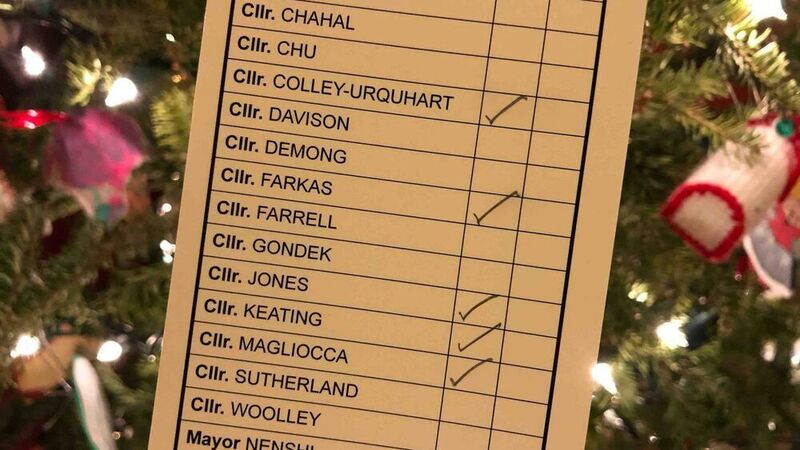 They co-sponsored a motion to that effect, which went before council November 13. But Colley-Urquhart wasn’t at council that morning: she was boarding a plane at YYC en route to Houston, and then onto Buenos Aires. She wanted to see penguins. At the time, everyone was confused. Colley-Urquhart was absent from her own notice of motion on a major project in her ward. 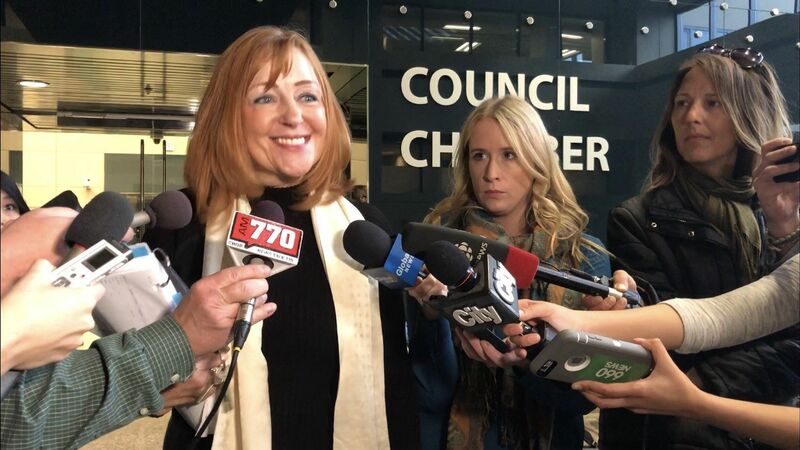 Colley-Urquhart said she and Farkas had originally decided against a notice of motion, preferring another council procedure to address their concerns. 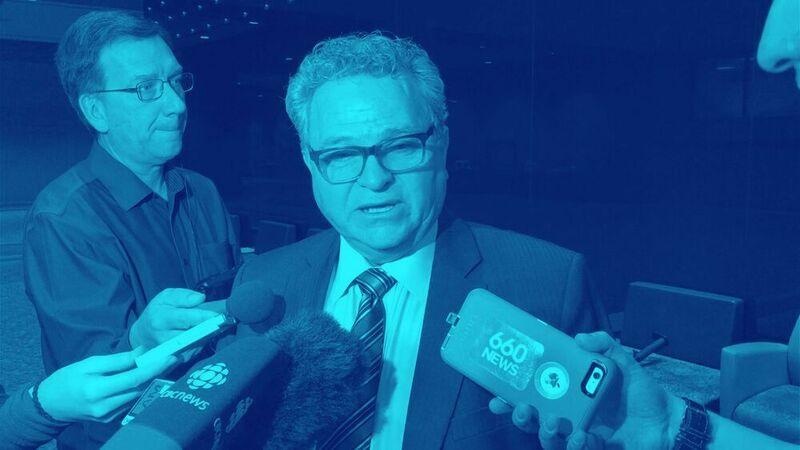 “I went to great lengths to explain to councillor Farkas the pros and cons of a notice of motion versus an administrative inquiry,” said Colley-Urquhart, recalling the original meeting. An administrative inquiry can be written up and submitted during a council meeting. “That way, it wouldn’t have been debated on the floor of council and it wouldn’t have failed,” said Colley-Urquhart. She also packed her bags for a $25,000 once-in-lifetime trip to Antarctica, and was gone. Farkas presented their motion alone. It failed. Afterward, he said he’d been thrown under the bus. On Monday, Farkas said Colley-Urquhart was fully supportive of their joint notice of motion. “We both ended up working together, late at night before the midnight deadline, typing up an example op-ed, the text of the notice of motion — and were both 100% on board,” he said. And what of Colley-Urquhart’s alleged recording? “I wasn’t aware that I was being recorded. But I’m the same in public as I am in private, so I’m not worried,” said Farkas. Farkas made headlines in March, before he was elected, for livestreaming an invitation-only engagement session on the SWBRT. As for Colley-Urquhart—she was unrepentant about her $25,000 Antarctica trip, which got cut short due to engine trouble (the ship never actually reached the continent). She noted that August is the only month that councillors get to take off, and that it’s not a good time to visit Antarctica. This time of year is better.